FR: I’m 37, married and father of three. I work in the railroad industry. FR: Limited organized sports, but was a regular at the neighborhood basketball court. Other than nope. SGPT: How did you train for the 20X event? 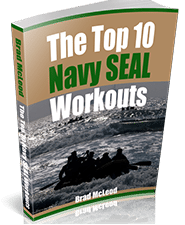 FR: SealGrinder PT workouts and mental edge audios . 180 Day Training Program. FR: The event was in Fort Worth, Texas on a very rainy, muddy day until the afternoon when the skies cleared and the sun blazed. from one extreme to the other which made it that much more awesome. FR: Those damn logs!!!! Log PT is brutal. Feels like your on fire!! 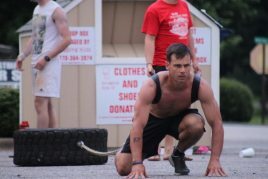 SGPT: What is one thing you wish you would have done to get ready for 20X? FR: More plank work. While fatigued. SGPT: Any tips for up and coming athletes that want to do 20X? FR: Put in the work because if your weak in any area it will surface quickly. Once you get to the point when your focusing on the evolution at hand and not the big picture it’s much more manageable mentally. (micro goals) Most importantly when your ready to quit remember you why!!! Original Swat that I picked up at a surplus store. FR:Borrowed my kids Nike backpack. He loved the sand I brought back for him. As you can tell I really didn’t go all out on gear. FR: Thom Shea “Unbreakable”. Second time reading it. FR: Thank you coach for all that you give back.